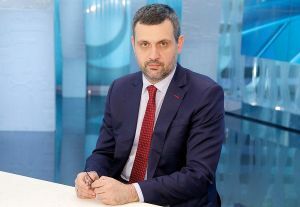 Head of the Moscow Patriarchate’s Department for Church, Society and Media Relations Vladimir Legoyda believes that opposition to authorities is not characteristic of an Orthodox believer. “There are people among our intellectuals who seek open opposition of the Church to the acting authorities. It will never happen. The Savior has not urged us to do it. We don’t have a blessing to be in opposition to the regimen”, he said in his interview published on Thursday by the Rossiyskaya Gazeta. According to the church official, the state will always try to base on a certain religious and moral consensus, and not only on Orthodoxy: “it is not connected with the Russian Church and concrete president, it existed in every country at any time,” he believes. Legoyda pointed out that during pre-election period Church officials watched to exclude propaganda and agitation so that no one violated this neutrality and blessed certain political powers.